How are the grid lines defined in Advance Design? The command is accessed from the main menu bar: "Generate > Grid". Insert the first point: the first point of the grid. 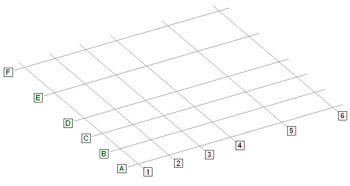 The second point insertion will give the first direction of the grid. The third insertion point and the first point will give the second direction of the grid. 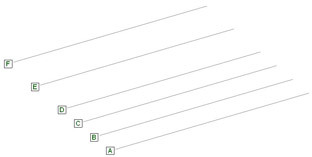 The distances between axes for each direction: X and Y. The text position: TOP, BOTTOM, BOTTOM and TOP. 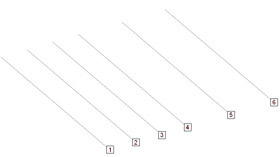 The text type and the distance between the text and the grid. Note: All these options can be different for each main axis (X and Y).